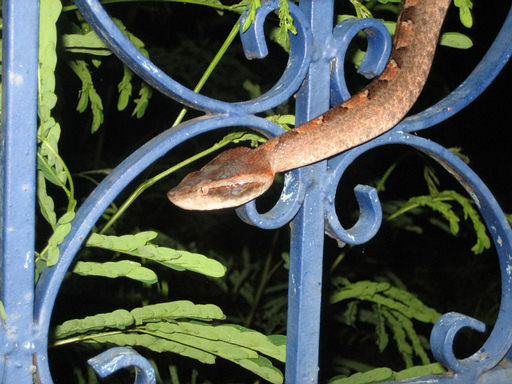 Calliophis maculiceps. 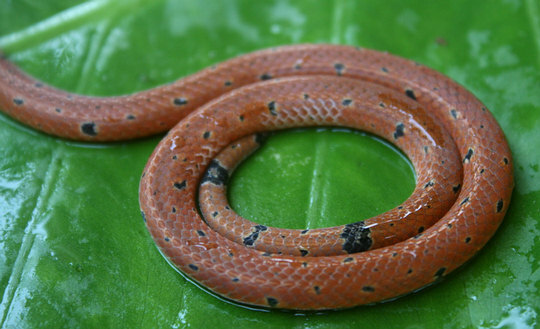 Small spotted Coral Snake. 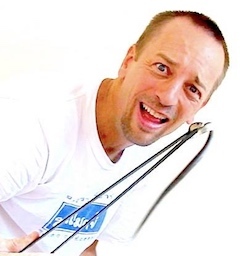 This is another reader submission from Kevin Shupe in Cape Panwa, Phuket. He was doing some yard work and inadvertently killed this cool little snake with a shovel or hoe. Hence the reason for no head shot! 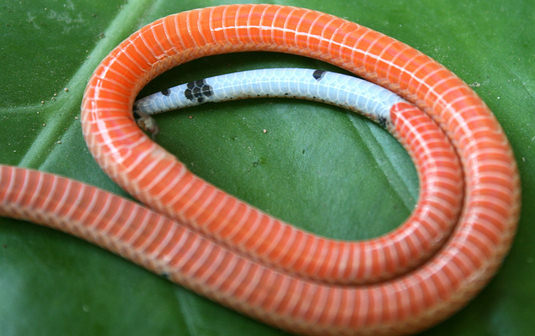 These are subterranean snakes for the most part. They are out and about during September and October for breeding – and then, you usually won’t see any unless you’re walking around overturned ground. They eat worms primarily. They have a very small mouth and I couldn’t find any instances of envenomation in man, but they are coral snakes and should be given some respect if you find one. 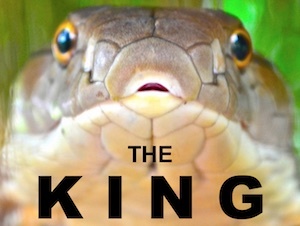 The amazing thing is the belly of the snake – I never knew it had that coloration. Like a gecko that lost it’s tail and it regrew all funky colored. 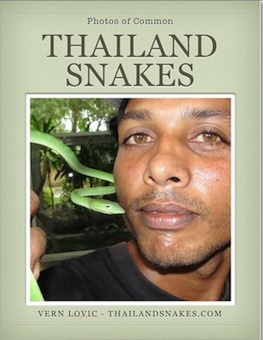 If you find any snakes in Thailand – get some photos and send them here – I’ll publish them with your credit and story if you have one.